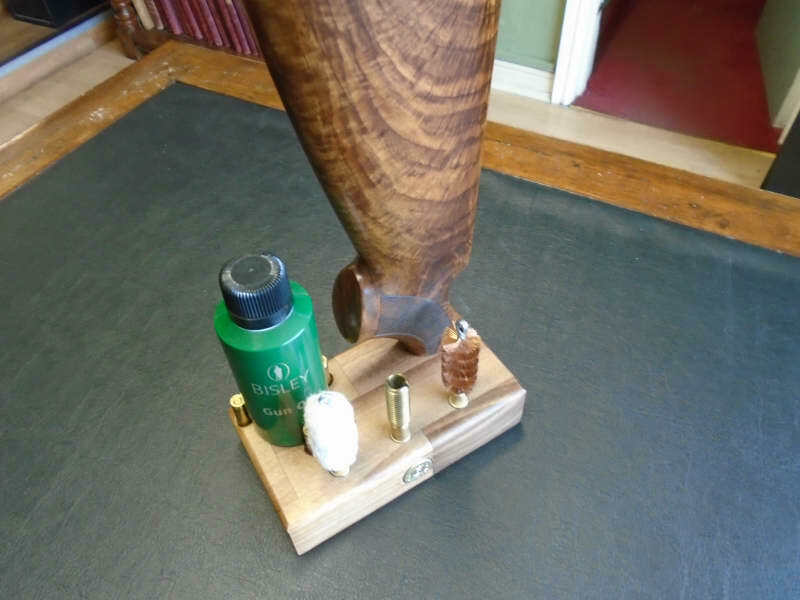 A bespoke shotgun cleaning kit. 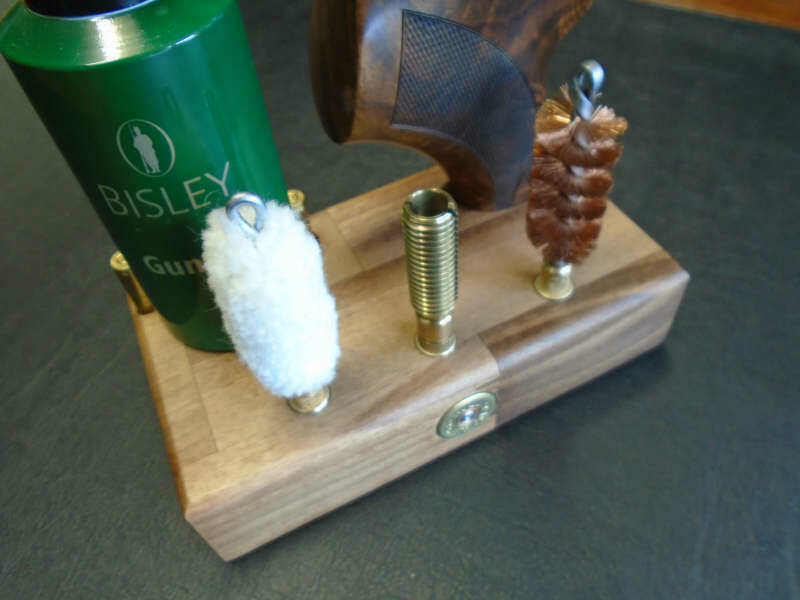 A deluxe 3 piece cleaning rod and ends mounted on a walnut plinth with a lovely figured Beretta stock holding the rods. Includes gun oil. Can be supplied for 12G,20G, 16G shotguns. 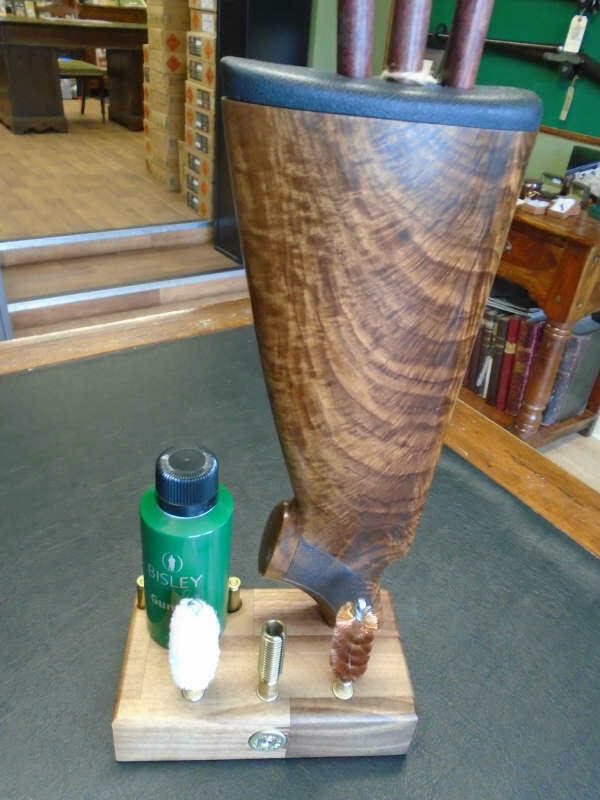 A unique piece of Gunmakers Art.